Britain's Labour Party leader Jeremy Corbyn has got some 'splaining to do. That's according to British Prime Minister Theresa May, who on Wednesday accused Corbyn of "mansplaining" International Women's Day to her. 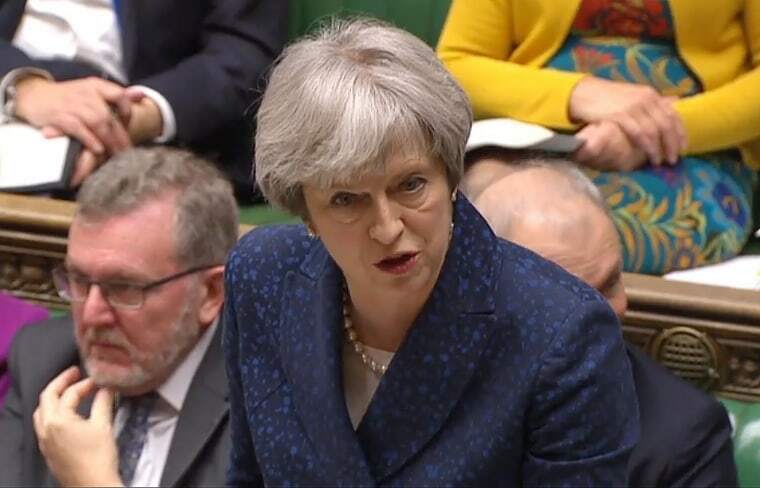 The two clashed during a weekly question-and-answer session in the House of Commons, when Corbyn attacked May for meeting with Crown Prince Mohammed bin Salman of Saudi Arabia — a nation notorious for suppressing women's rights — a day before the annual worldwide commemoration of the women's rights movement. The quip drew laughter from the chamber. But May wasn't done yet: She later tweeted the official Oxford English Dictionary definition of the word to Corbyn. "To mansplain — verb informal — explaining (something) to someone, typically a woman, in a manner regarded as condescending or patronising," she wrote. "Mansplaining," when a man explains something to a woman that she already knows, has gained popularity in the vernacular as a result of the #MeToo movement, which has put a spotlight on the gender inequality and sexual harassment that women face. International Women's Day has been held annually on March 8 for more than a century and celebrates the achievements of women while also calling for gender parity around the world.